This status offers independence but brings genuine financial challenges. For example, 1099 workers must pay all of their own Social Security contributions, which impose a substantial financial burden. In contrast, employers pay half of the Social Security contribution for their W-2 workers. Unlike W-2 workers, 1099 workers must themselves account for and report their income to the Internal Revenue Service (IRS) quarterly. 1099 workers are also responsible for making quarterly estimated income tax payments themselves directly to IRS and the Maryland comptroller. In contrast, employers perform the required income reporting for their W-2 employees and make the payments on behalf of W-2 workers through payday deductions. 1099 workers who lack discipline or cash flow to make required reports and payments on time, who underpay, or even fail to pay quarterly estimated income taxes can expect a large tax bill, penalties, and interest liability each year on April 15. Today, many 1099 workers are drowning in such liability. Who can be a contractor? In the background, there is a regulatory battle between government authorities and business owners over whether an individual properly may be classified as a 1099 independent contractor or a W-2 employees. There are rules, but it is sometimes a judgment call, and enforcement is lax. This battle is not new, but it will almost certainly take on new life in Maryland with the General Assembly’s action and lead to federal litigation. In short, significant new financial burdens may fall to workers who either find themselves abruptly converted from W-2 status to 1099 status, or are engaged as 1099 workers from their first day on the job. 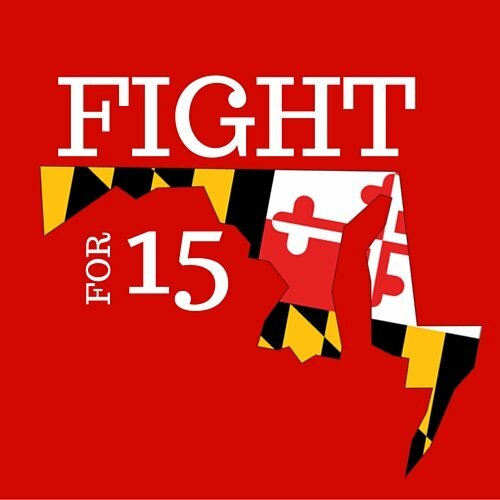 The Maryland General Assembly’s rush to $15 will result in a proliferation of “temp” agencies and labor contractors. Logically — and foreseeably — Maryland business owners will look for ways to insulate themselves from a work force which suddenly has become much more expensive. A solution already used in many government and commercial workplaces is the “temp” agency or labor contractor. Such agencies generally have lower overhead than the businesses they serve, especially if the temp agency offers limited or no medical or retirement benefits. Such agencies thus may be in a position to insulate the business client financially from the worker, and absorb the shock of the higher minimum wage while remaining profitable. The upshot: Maryland W-2 workers may find themselves shifted from a direct employer to a temp agency, and — in my opinion — a more precarious existence. None of these strategies for employers are new, but they may become more prevalent. The Maryland General Assembly’s $15 minimum wage requirement makes no distinction between alien border violators and U.S. and lawfully-admitted alien workers. The new law is a windfall for border violators who carry employment authorization cards tied to Temporary Protected Status, removal proceedings, bad-faith asylum proceedings, or other provisions in our Alice in Wonderland federal immigration law. New U.S. citizen and lawfully-admitted alien workers in Maryland already face an uphill battle to compete in a labor market overwhelmed by alien border violators. The General Assembly just made that uphill battle steeper. Finally, a word about something that is not, strictly speaking, a consequence of the new law, but instead, a possible indicator of why it happened: the lack of an effective business voice in Maryland. Ultimately, the cure for Maryland’s anti-business legislature is the ballot box. To the extent Maryland business has a voice at all beyond Gov. Larry Hogan’s strenuous efforts to soldier through, however, that voice seems to me to be beholden to the hard-left that runs the General Assembly rather than to business owners. Maryland businesses who pay dues to organizations ostensibly speaking for them in Annapolis are not getting their money’s worth. Rank and file members should replace the salaried leadership of such business organizations and rebuild. These organizations must fight year round for Maryland businesses, district by district, and not just during the General Assembly’s annual legislative session. Such organizations should also staunchly support pro-business candidates and just as staunchly challenge anti-business incumbents. After 32 years in Maryland and several efforts at public office, my conclusion is that the front offices of business advocacy organizations in Maryland too often pull their punches to stay in good legislative graces, while the rank and file job creators end up being hammered all the same. Exhibit A for this eminently solvable problem is the General Assembly’s unfortunate rush to $15. Richard Douglas, lawyer, sole practitioner and Iraq vet, is a small business owner in College Park, and a former Republican candidate for U.S. Senate.